On the south shore of Nova Scotia about 110 miles (175 km) southwest of Halifax sits the amazing Kejimkujik Seaside, which is an extension of the much larger inland Kejimkujik National Park. 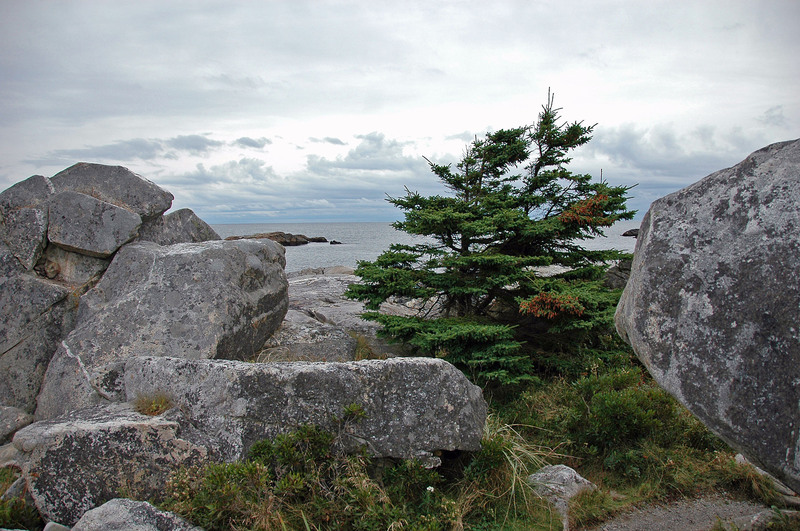 Its remote hiking paths along windy shores offer breathtaking views of Nova Scotia at its natural best. 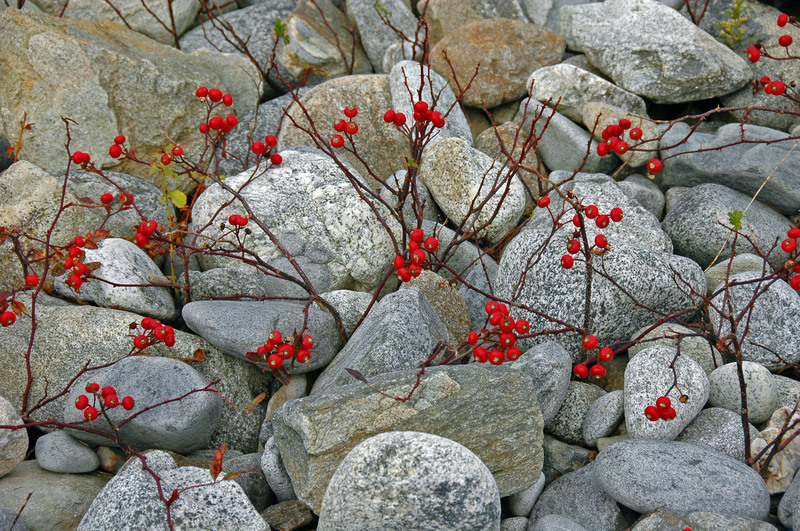 These pics are from a memorable hike there on an overcast day. Our beautiful country!! !True north strong and free. One of my favourite places! You’ve captured it’s beauty. Maura, thanks for the comment and correction on the tree — you’ve got a sharper eye than me! I’ve updated the description also. I hope your travels continue to go well. Sounds like a grand adventure! 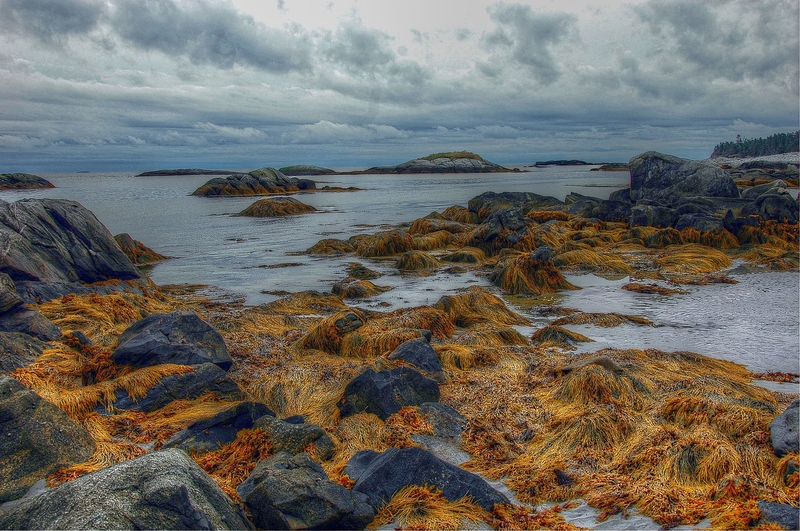 The rocks and seaweed create such an incredible colour contrast! LOVE the photos! Great sequence! 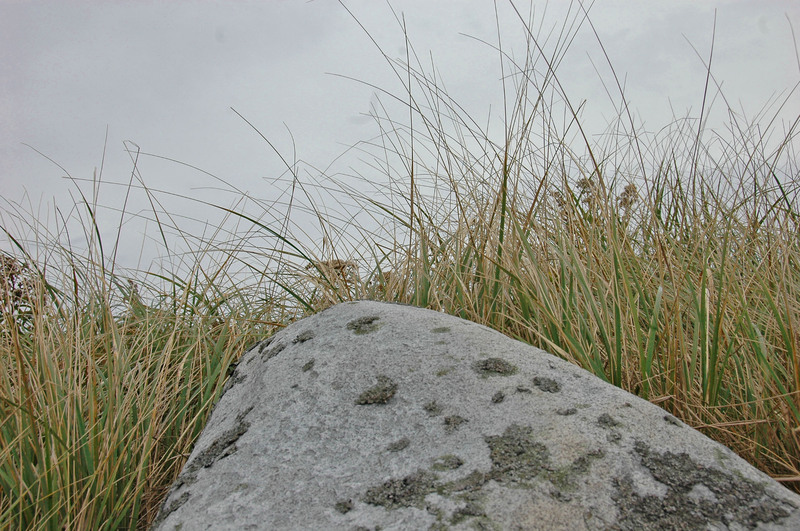 I especially like the seashore image, and the way you’ve brought out the detail in the foreground grasses. A touch of HDR? Aaron, thanks. I like the contrast in the foreground as well. No HDR on this, but I did adjust the colors slightly because the sky was somewhat washed out that day. My favorite is the first photo. Beautiful. Yet another place we missed and will have come back to see :). Yes, it’s a gorgeous place. Of course, it appears you two are having quite the time and I hope that continues. Gorgeous. On my recent trip there it was Fog City- could barely see to the water! These pics are nice proof that there was an ocean there, after all! Hey, Krista, thanks. Covered in fog would have been quite the sight. Sharon, thanks. I like the simplicity of those as well. Gorgeous pics and gorgeous place, I must go here someday!! Thanks. Good combination on your site — art and cats! Katie, thanks for your kind comments. Completely agree with your idea about inspiration — sources of inspiration are all around us. Be good. No problem. I am looking forward to your documented experience and travels through that beautiful country. You are more than welcome. Have a good day and rest of the weekend. Great shots! Here are some of my own while visiting Canada. Thanks for your comments and for sharing your Canada photos — very nice! 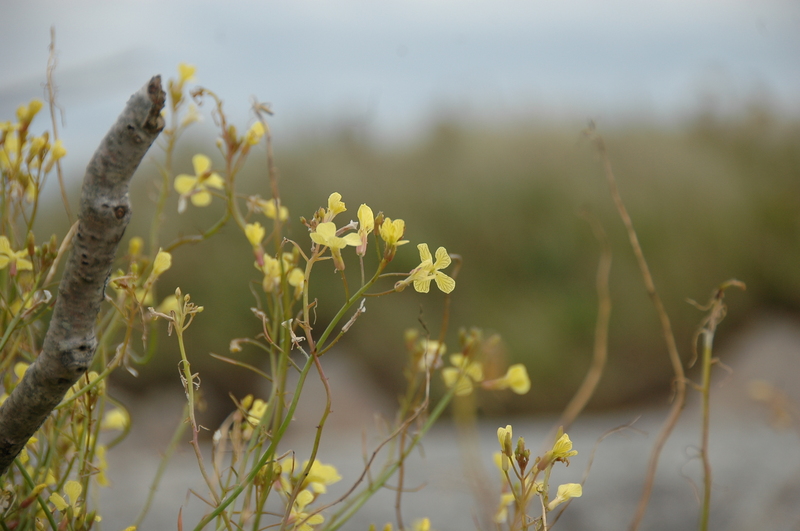 I love the picture of the rocks with the flowers bursting through. Very symbolic! greatly enjoying all your pictures, but especially these which remind me of summers – and autumns and winters – on the Maine coast in my earlier years. So very different from the arid high plains and Rocky Mountain deserts where I live now; both beautiful, both feeding the soul. We are in such a severe drought now, though, that I am enjoying vicariously bathing in the moisture I feel in these photos. 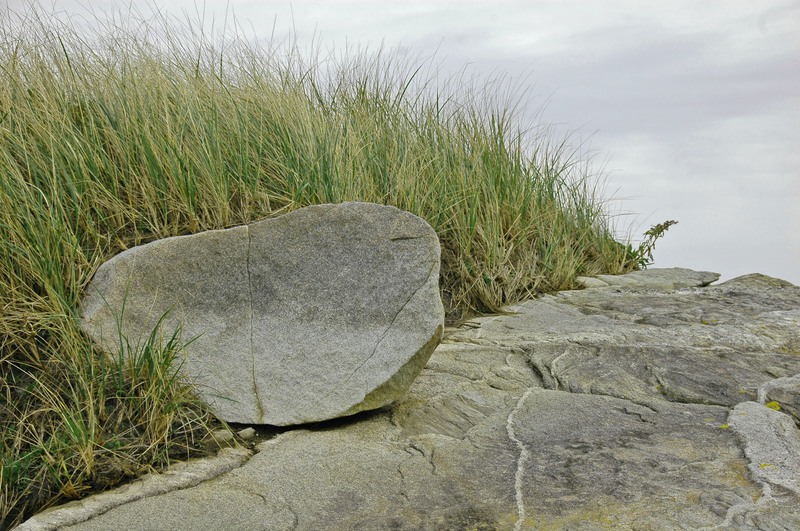 It’s true that coastal Maine shares many similarities with parts of Nova Scotia. As you say, beautiful scenery, wherever we may find it, feeds the soul. I didn’t know Keji had a seaside – thanks for this. Those first two photos are very ‘Group of Seven’ish but I like the close ups better. Thanks so much! I like the close ups a lot as well. It’s interesting to me that the seaside park is somehow a part of Kejimkujik Park given how far away (about 90 km) it is from the main part of the park. Beautiful country. Great photographs. Thank you. Lovely photos, especially that first one! Time to get back to the Maritimes for a photo trip!! This seaside is a gorgeous and restful place! This is a gorgeous place! Oh my! These are stunning pictures! Wow! You take such beautiful pictures! Thanks! This seaside is a gorgeous area and serene. What a beautiful area! Thanks for sharing. These are definitely breathtaking photos, Brett! Wow. What a beautiful place. You’ve got it right. There is a special magic in the underexplored places of the north. Lately I’ve seen/met a few Georgians here. There seems to be a connection. I certainly enjoyed Savannah when I passed through. Jane, that’s true and so many places up north yet to explore! 🙂 Glad you enjoyed Savannah — interesting historic place. This makes me pine for Nova Scotia, Brett, for which I have a particular love. You take fantastic photos! Beautiful photos in Keji. It’s a favourite spot for us Nova Scotians! Thank you for visiting my site, and for the likes as well 🙂 happy travels. It’s a great spot. The inland Kejimkujik park is nice as well but I prefer the seaside area. Keji is one of the most beautiful places on our planet. I have been there many times and I will continue to go again and again. Thank you for this lovely post as well as your other ones. They make me proud to be Canadian. Cynthia, so true — what a beautiful and serene place. Thanks for your kind words. Enjoying your blog, interesting perspective. Not sure when you’ll be back on the NS South Shore but if you haven’t already, check out Hirtle’s Beach and the Gaff Point hike. So many beautiful photos waiting. I love Keji and Keji Seaside – so much that I wrote a kid’s picture book set there, THE KING OF KEJI (with lovely watercolor illustrations by Patsy MacKinnon). Tks. for stopping by my blog! They’re both gorgeous places. Very cool on your picture book! I’ll be on the lookout for it. Much beauty even on those grey sky days ! Looks a fine place indeed . Yes, that seaside area is a truly gorgeous place. I absolutely love your combination of textures and colors in your photos. You travel to places I would love to visit. You capture the true feeling and essence of the place. Great job!!! Thanks, Pam! That seaside area is gorgeous! You have provided me with another star on my map of places to visit. Thank you for your photographs and description of this beautiful place.